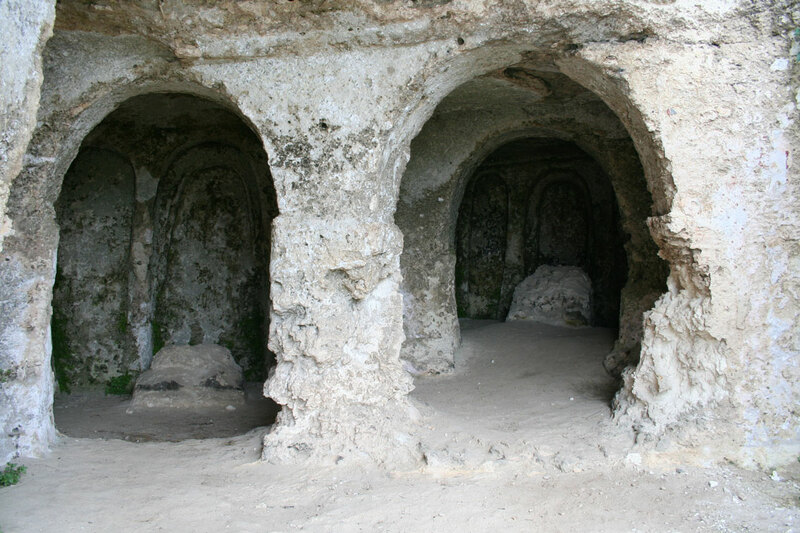 In a panoramic position on the rocks and canyon crypt has two priests, preceded by a 'single room, as San Falcione. The right environment, longer than the left has the back wall with three alcoves apse with frescoes made very poorly readable by vegetable organisms: on the left is portrayed a monk, to Center a bishop and to the right date 1651 registered and painting San Rocco which shows a wound on his leg. Two other niches carved on the side walls are symmetrically. Behind the altar, detached from the wall, lies a tomb and the ceiling a dome of concentric circles. In the vicinity of the Church are left a tank with a singular cover dome built in the upper stone bench. This tank was chosen in 1964 on the set of “The Gospel according to St. Matthew” by Pier Paolo Pasolini for ambientarci the tomb of Jesus.